Many small businesses are migrating to the cloud and experiencing benefits that were never possible before. Research shows that US-based small businesses used nine cloud-based services on average in 2018, up from 1 in 2009. The cloud made possible the capability of massive information processing tasks to small-scale entities. The myriad ways small businesses can use the cloud’s potential gives a lead over the competitors in the long run. Below are some of the pointed benefits of migrating your Small Business to Cloud. Cloud-hosted servers enable mass-scale computing power and minimize IT requirements and physical storage, providing significant savings. Web-based commerce faces challenges like server loads, d spike in popularity carry the potential to overload traditional server which leads to loss of customers’ access at a business moment. With scaling cloud-hosted infrastructure, failover systems can automatically kick in. Cloud-based data infrastructure is efficient, inexpensive, and responsive to demand. By paying only for the server load you need, your costs for data management can scale with use, providing the most economical solution for small businesses. Cloud-based office platforms like Microsoft Office 365 and Microsoft Dynamics 365 business management applications through SIROCo support allow multiple users to work simultaneously, with all changes reflected in real-time across an unlimited number of devices. “Living documents” on cloud-based office systems reflect changes by all users instantly, allowing a fundamental shift in collaboration between employees. These digital workspaces also significantly reduce the responsibilities of IT professionals in infrastructure management, freeing up time and resources for big-picture projects such as data analysis. Cloud-hosted desktops allow users to access their files anytime, anywhere, using any device. Saving and accessing files through the cloud allows everyone to work from the same master document with administrative permission controls. Cloud-based office systems SIROCo support shall promote independent office environments. The ability to collaborate over cloud services allows employees the flexibility and support to work remotely or to continue projects while away on conferences and trips. Telecommuters help businesses circumvent many costs associated with brick-and-mortar workspaces. Scaling to remote access workspace possibilities take over the worries on power requirements, space considerations or software updates etc. Cloud computing gives them the processing power necessary to organize and use large quantities of data. Small business who play with big data analytics shall attain the ability to make better decisions based on deep customer data offers big advantages, such as delivering more relevant information to your customer base in a timelier manner or adjusting to customers’ wants and needs in real time. The focus to user-friendly data analytics interfaces, bypassing many of the costs associated with analyzing such large quantities of information with SIROCo support is a good start. With an internet speed of 500 Mbps shall support cloud-based computing needs of small business. Growth enables small businesses to invest in faster internet speeds as opposed to relatively inefficient investments in server capacity and hardware, which could save you money in the long run. The cloud adds security to its users by backing-up data off-site, decreasing the potential for hackers, viruses, and other cyber-security issues. Information security continues to be a major hurdle for small businesses. Threats evolve quickly, and a complete defense of critical infrastructure is often beyond the capabilities of a small IT workforce. Protection of critical data is the backbone of small business for which SIROCo provides support. Cloud-based data storage helps address security concerns by building redundancy into a company’s information management approach. The cloud enables your small business IT infrastructure to evolve as quickly as your business does. Moving forward with cloud computing shall bring your small business many benefits that directly impact productivity and security. Whether you are a retail, food & beverage, real estate, health care or financial services small business owner, cloud computing is a practice that you will want to integrate and eventually adopt altogether. 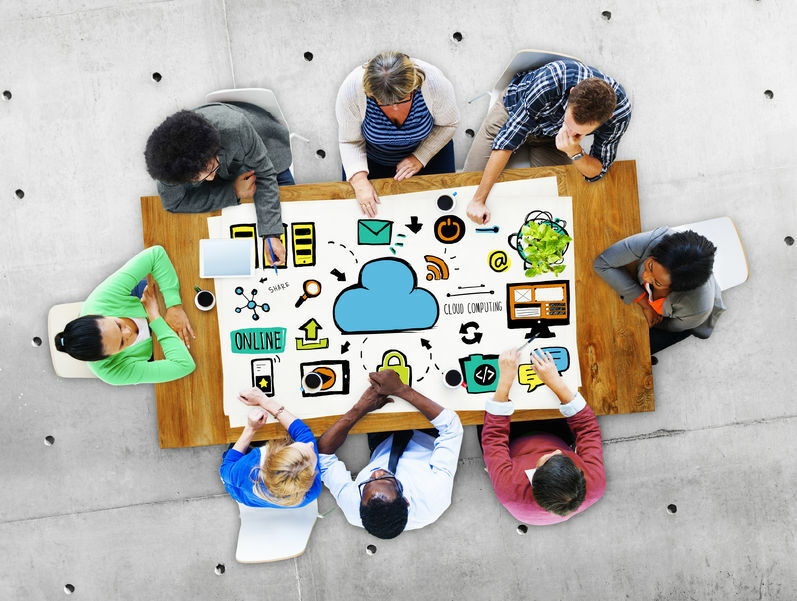 Is your small business using or planning to use cloud technology? If so, SIROCo Support is the answer. SIROCo prides itself in maintaining long-standing relationships with our small business clients. We provide friendly, responsive and accurate Microsoft Dynamics 365 Business Central. Choose the communication method that’s most convenient for you. Our commitment to your company doesn’t end once your new Dynamics 365 Business Central system is up and running. SIROCo. offers customized onsite and web-based Dynamics 365 Business Central training for your small business needs.